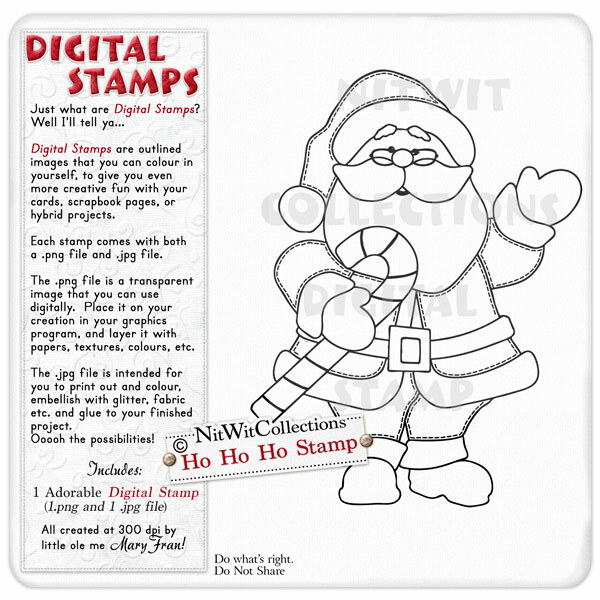 "Ho Ho Ho" Digital Stamp finds Santa waving to you, and waiting for you to bring him to life with your creativity! Just look at that happy face!! The choice is yours with this digital stamp. A great creative addition for your card making, scrapbooking, and hybrid scrapbooking projects. Stamp is created as an 8in x 6in image so that you can resize it to fit your creation. 1 Santa Stamp (2 files - 1 image is a .png file and 1 is a .jpg file format). Digital Stamps may be incorporated into projects, but are not available for resale by any License holders.